Craniosacral therapy is based on the belief that functions of the human system are maintained and integrated by a biodynamic force known as 'primary respiration,' or the breath of life. Found in the brain, spinal cord, and bodily fluids, this rhythmic pulse promotes healing and health. Written for students and practitioners but accessible to lay readers, this text presents the fundamental concepts and techniques of a method that redirects the cerebrospinal fluid to areas of imbalance, thus enhancing overall health. 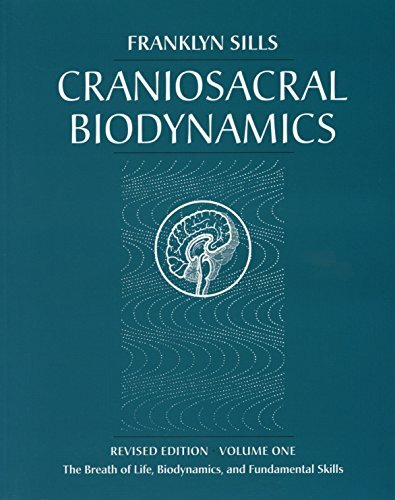 Volume One covers both the history and conceptual ideas fundamental to Craniosacral Biodynamics, as well as the more complex structural and tissue relationships. Franklyn Sills is Co-director of the Karuna Institute, a respected post-graduated Institute for Craniosacral Biodynamics and Core Process Psychotherapy. Throughout his career, he has been in the forefront of pioneering a biodynamic approach to work within the cranial field. His training includes medical research, Osteopathic work, and an in depth study of the work of Dr. Randolph Stone. His main focus has been within the context of craniosacral teaching and clinical practice. He is the author of the award-winning book The Polarity Process.